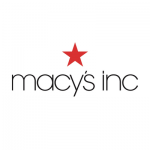 Hiring Full-Time Software Engineer to work in our Search & Catalog domain for Macy’s Technology. A Software Engineer is a hands-on subject matter expert who is responsible for the implementation of design and prepares low-level design documents. The ideal candidate will have had experience in the high paced energy of startups as well as experience in the structured world of larger companies. This Engineer will need to have very strong Java, J2EE, Data Structures, SOA, Java Web Services, REST, Spring Framework, Unit testing Frameworks, JUNIT, TestNG and desirably Solr/lucene, Testing Frameworks like Rest Assured etc as well as have some exposure to NoSQL development. The successful applicant will work closely with cross functional teams in a highly collaborative environment to provide quality software and solutions while providing the necessary leadership to deliver releases on time. The candidate should have worked on highly scalable applications / Websites and also possess QE mindset. 3+ years of full life cycle J2EE hands-on experience designing and developing large scale web applications on high traffic site(s). 2+ years of hands-on experience with Spring, SOA, REST Web Services, JMS, XML, JSON. Experience working with multi-threaded programming in high performance, distributed environments.